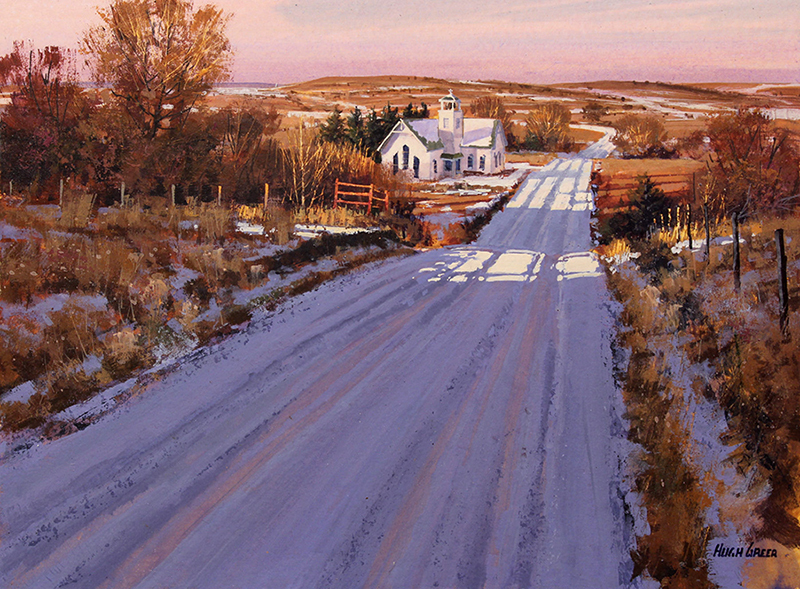 Born in Kansas City, Missouri, Hugh Greer later attended the University of Kansas graduating with a Bachelor of Fine Arts degree in Industrial Design. 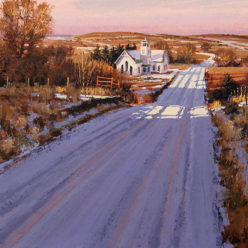 He moved to Wichita, Kansas to pursue a career in Industrial Design and Architectural Delineation before establishing himself as a fine arts painter. 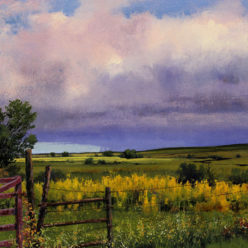 His love of dramatic weather and textural vistas highly influenced his decision to become a full time landscape artist. 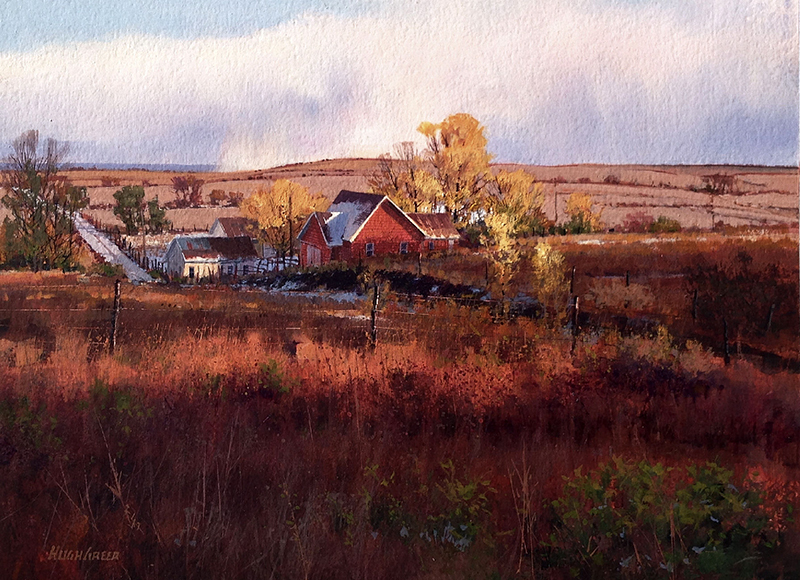 Hugh paints in a style that is easy for people of all ages to relate to and appreciate. He has a keen eye for composition and color and his landscapes are both nostalgic in their purity and realistic in their execution. 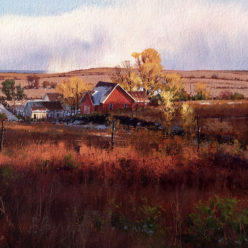 Greer’s art captures illumination in all its forms: bright and glowing as the sun lights an evening sky through an atmospheric filter that emits a red-orange hue; thick and heavy on an overcast day; muted on a foggy morning; and glisteningly intensifying color after it rains. 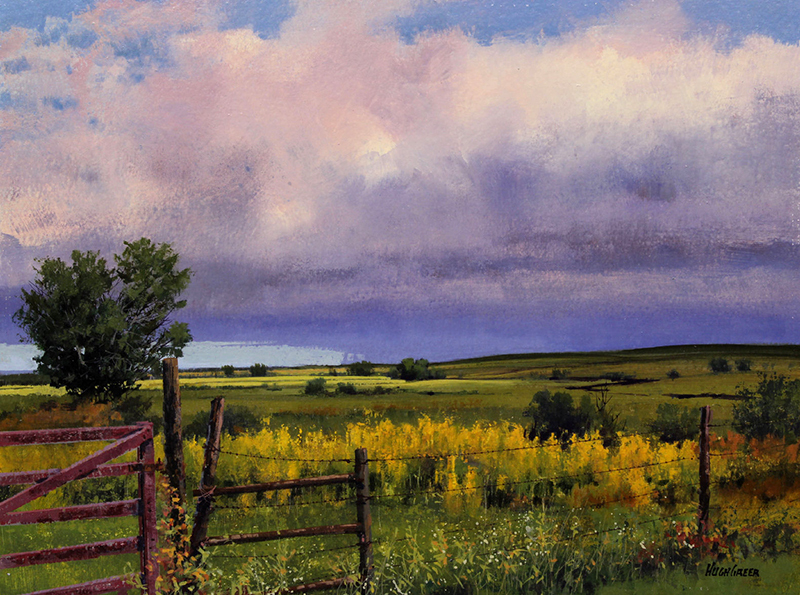 All of his works exhibit a profound reverence for the land Greer calls home.